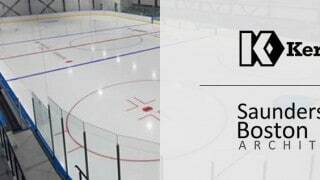 When Sapphire Ice & Leisure opened in Romford, Essex earlier this year, it became the UK’s first example of an ice rink built directly above a heated swimming pool. In building design and construction terms, creating neighbours of two such opposing climates posed unique and complex technical challenges. This was an especially unusual project in that it was so large and complex that its scope spanned at least two entirely separate instances of research & development (R&D). In this unique turn of events, ForrestBrown was able to help two firms receive a financial boost in return for their innovation. Saunders Boston Architects are a Cambridge-based firm of architects with a speciality in designing swimming pools. Kershaw Mechanical Services are a mechanical and electrical engineering building services company based in Cambridge. What does R&D in the construction sector look like? This particular construction project was Havering Council’s largest single investment (£28m) in a borough-wide improvement programme. 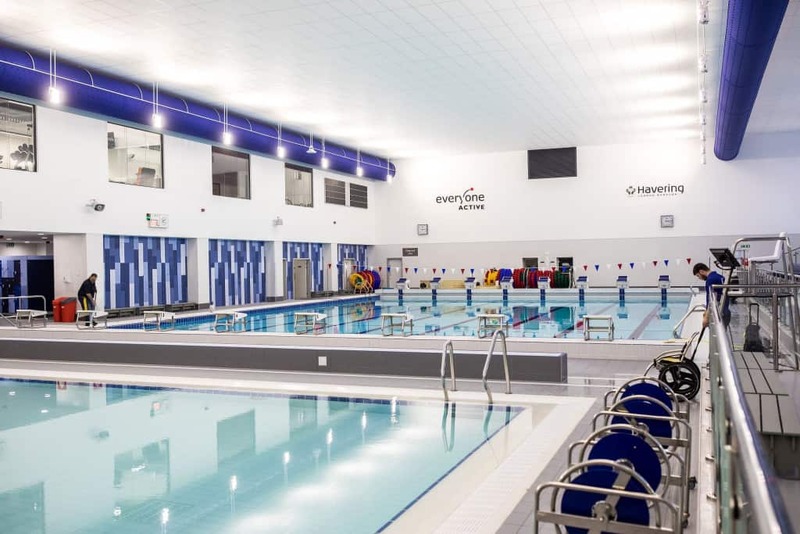 Work began in 2013 when Saunders Boston were briefed to design a building that would include a 25m, 8-lane swimming pool and separate learner pool, fitness and dance studios, a National Standard ice rink and spectator seating throughout. The Cambridge-based architects didn’t have the luxury of a large plot of land, which would have permitted designs for a pool hall and ice rink side-by-side. Instead, the plot was a more restricted space in the heart of Romford, so the initial challenge was to find a way of fitting two facilities with fixed, regulated sizes into this limited build space. A ‘floating’ ice rink meant the primary supporting structure needed to span over 25 meters, with the final 2 meters being a cantilever – which added further complication. A complex floor build-up, which included a pre-finished metal deck to act as a high-density vapour barrier, insulation and two layers of concrete, was used and the whole floor was supported by one metre-deep beams which spanned all the way across. These beams ultimately had to be craned in over a busy highway and spliced together in-situ. The architects also sought to reduce pool glare through a bespoke cladding system, which would need to complement whichever solution for temperature control was decided on. With the working concept agreed on, several technical challenges had to be addressed. The priority was to ensure that the two markedly different climates – warm and cold – could exist as adjacent floors. The condensation risk needed to be analysed in detail, and specialists were enlisted to crunch the numbers. 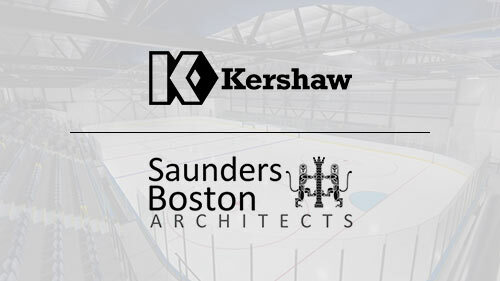 Kershaw understood from the ice rink contractor what environmental conditions were required. And there were very tight parameters for temperature and humidity control. The pool room would naturally be very humid, and air temperature must be maintained at three to four degrees above that of the pool. Above it, the ice rink would need to stay cool and dry, but still have enough humidity for the ice to remain slippery. Further complications were posed by the changing outdoor climate. In winter, the drier air means humidity must be introduced to the ice rink to achieve the desired ‘slipperiness’, while the more humid summer air would melt the ice too far if not controlled. What stands out about ForrestBrown’s service? We have one of the largest teams of chartered tax advisers in the UK specialising in R&D tax credits, but that is not all. Our tax team is complemented by industry specialists and former HMRC inspectors ensuring that we can handle even the most complex R&D tax credit claims. This adds up to a level of technical firepower hard to match elsewhere. We also pride ourselves on our robust methodology. Our inbuilt quality assurance process, which includes a detailed tax review and input from our senior tax advisers and technical experts, gives our clients peace of mind that their claim is submitted to HMRC in the best possible shape. Finally, we offer a completely comprehensive service. From spending time getting to know our client’s business to completing and submitting the claim with HMRC, we do all the hard work so that they don’t have to. We don’t ask our clients to write up project descriptions themselves or fill in long templates. Worth up to 33p for every pound spent on qualifying innovation, R&D tax credits have a hugely positive impact on the companies that claim them. The incentives deliver a cash boost that can help spark further innovation and ultimately help companies to become more competitive. Can ForrestBrown help you too? 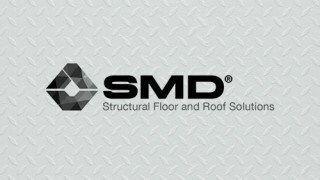 Are you unsure whether your construction or HVAC innovation qualifies for R&D tax credits? It is always worth talking to an expert to see whether you can benefit. Our expert team can help you identify any qualifying innovation and provide an R&D claim service that both inspires confidence and optimises your claim. If you are tempted to opt for a big four firm to carry out your claim think again! This case study shows how we helped a manufacturing business more than double the claim that a big four firm had previously submitted. Find out how our package of experienced, senior staff, robust methodology and proactive approach makes it simple and rewarding to work with ForrestBrown.